Global change ecology, ecosystem ecology, biogeochemical cycle, ecological modeling, eco-statistics (applications of statistics in ecology). 2002, 2003 Biostatistics and Computer Applications. University of Oklahoma. 1996. Statistical Analysis System (SAS) and it's application, Yangzhou University, China. 1995. Quantitative Genetics, Yangzhou University, China. 1994-97. Computer applications and Database Management (FoxBase), Yangzhou University, China. 1992-97. Experimental Design and Biostatistics. Yangzhou University, China. Identification and modulation of functional protein association networks for drought tolerance in switchgrass. 9/1/2012-8/31/2015, $499,995. USDA CBG Program (PI: S. Zhou, Co-PIs, J. de off, D. Hui, G. Smith, F. Chen). Experimental and modeling study of switchgrass productivity and greenhouse gas emissions under climate change and nitrogen application. 10/01/2012-9/30/2015. USDA Evans-Allen Program (PI: D. Hui). Improving Nitrogen and Water Use Efficiency to Reduce Greenhouse Gases Emission in Corn Croplands. 10/1/2011-9/30/2014. $299,930. USDA CBG program (PI: Sam O. Dennis, Co-PIs: Dafeng Hui, and Chandra Reddy. 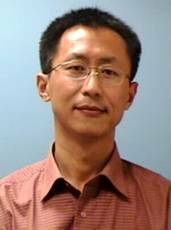 Former PI: Junming Wang.). Dveloping and Evaluating Sustainable Production of Eastern Gamagrass as Complementary Bioenergy Feedstock to Switchgrass. 2010-2013. $424,820. USDA CBG Program (PI: E. Dzantor, Co-PIs: D. Tyler, F. Tegegne, and D. Hui). URM: Enhancing Minority Undergraduate Student Research Experiences in Ecology and Environmental Science. 2009-2014. $614,520. National Science Foundation (PI: D. Hui). MRI: Acquisition of a Photosynthesis and Respiration System for Research and Education at Tennessee State University. 2009-2012, $66,780, National Science Foundation (PI: D. Hui; Co-PIs: Emmanuel Dzantor, Elbert Myles). Li-Cor Environmental Education Fund (LEEF) Grant. 2009. $40,000, Li-Cor Biosciences. TSU Faculty Research Award. 2008, $12,000. TSU (PI). Data-Model Fusion at AmeriFlux Sites: Towards Predictive Understanding of Seasonal and Interannual Variability in Net Ecosystem Exchange. 2005-2008, $260,000, National Science Foundation (Co-PI, with Dr. Y. Luo as PI). Interannual Variability in Net Ecosystem Exchange in Colorado Subalpine Forest: Partitioning into Causes between Climatic Variability and Functional Changes. 2003-2004, $106,000. DOE National Institute For Global Environmental Change (Co-PI. PI: Y. Luo). Hui, D, M.A. Mayes, G. Wang. 2013. Kinetic parameters of phosphatase: a quantitative synthesis. Soil Biology and Biochemistry 65: 105-113 (PDF). Jiang, H., Q. Deng, G. Zhou, D. Hui, D. Zhang, S. Liu, G. Chu, and J. Li. 2013. Responses of soil respiration and its temperature/moisture sensitivity to precipitation in three subtropical forests in southern China. Biogeosciences 10: 3963-3982 (PDF). Song, X., H. Tian, X. Xu, Hui, D., G. Chen, G. Somers, L. Marzen, M. Liu. 2013. Projecting terrestrial carbon sequestration of the southeastern United States in response to climate and atmospheric changes in the 21st century. Ecosphere 4(7),88. http://dx.doi.org/10.1890/ES12-00398.1 (PDF). Shen, W., H. Ren, G.D. Jenerette, Hui, D., H. Ren. 2013. Atmospheric deposition and canopy exchange of anions and cations in two plantation forests under acid rain influence. Atmospheric Environment. 64: 242-250 (PDF). Hui, D., 2013. Global climate change and biodiversity: issues and future research. Journal of Biodiversity& Endangered Species 1:e105.doi:10.4172/jbes.1000e105 (Editorial) (PDF). Hui, D., J. Wang, X. Le, W. Shen, and H. Ren. 2012. Influences of biotic and abiotic factors on the relationship between tree productivity and biomass in China. Forest Ecology and Management 264, 72-80 (PDF). Hui D., H. Tian, Y. Luo. 2012. Impacts of Climatic Changes on Biogeochemical Cycling in Terrestrial Ecosystems. In Chen, W.-Y. ; Seiner, J.; Suzuki, T.; Lackner, M. (Eds.) Handbook of Climate Change Mitigation, Springer (PDF). Deng, Q., D. Hui*, D. Zhang, G. Zhou, J Liu, S Liu, G Chu, and J. Li. 2012. Effects of Precipitation Increase on Soil Respiration: A Three-Year Field Experiment in Subtropical Forests in China. PLoS One 7:(7): e41493. doi:10.1371/journal.pone.0041493 (PDF). Zhang, C., H. Tian, G. Chen, A. Chappelka, X. Xu, W. Ren, D. Hui, M. Liu, C. Lu, S. Pan, G.B Lockaby. 2012. Impacts of Urbanization on Carbon Balance in Terrestrial Ecosystems of the Southern United States. Environmental Pollution 164, 89-101 (PDF). Tian, H. G. Chen, C. Zhang, M. Liu, G. Sun, A. Chappelka, W. Ren, X. Xu, C. Lu, S. Pan, H. Chen, D. Hui, S. McNulty, G. Lockaby, and E. Vance. 2012. Century-Scale Responses of Ecosystem Carbon Storage and Flux to Multiple Environmental Changes in the Southern United States. Ecosystems 15: 674-694 (PDF) (News Report , Comments). Wilson, C., D. Hui*, F. Tegegne, E. Nwaneri, C. Davidson, and D. Duseja. 2012. Effects of Climate and Agricultural Practices on Ecophysiology of Pigeonpea in the Southeastern United States. Pure and Applied Biology 1(2):33-39 (PDF). Wilson, C., D. Hui*, E. Nwaneri, J. Wang, Q. Deng, D. Duseja, and F. Tegegne. 2012. Effects of Planting Dates, Densities, and Varieties on Ecophysiology of Pigeonpea in the Southeastern United States. Agricultural Sciences 3:147-152 (PDF). Le, X., D. Hui, E.K. Dzantor. 2011. Characterizing rhizodegradation of the insecticide bifenthrin in two soil types. Journal of Environmental Protection 2: 940-946 (PDF). Palmroth, S., G. Katul, D. Hui, H.R. McCarthy, R. B. Jackson, R. Oren. 2010. Estimation of long-term basin-scale evapotranspiration from streamflow time series. Water Resources Research 46, W10512, doi:10.1029/2009WR008838 (PDF). Fay, P.A., A.K. Kelley, A.C. Procter, D. Hui, V.L. Jin, R.B. Jackson, H.B. Johnson, H.W. Polley. 2009. The Lysimeter CO2 Gradient Experiment: a new facility for exposing grassland vegetation on multiple soils to a continuous CO2 gradient. Ecosystems 12: 699–714 (PDF). Zhou, T, P. Shi, D. Hui, and Y. Luo. 2009. Global pattern of temperature sensitivity of soil heterotrophic respiration (Q10) and its implications for carbon-climate feedback. Journal of Geophysical Research - Biogeosciences, 114:G02016 (PDF). Zhou, T, P. Shi, D. Hui, and Y. Luo. 2009. Inverse modeling of spatial pattern in temperature sensitivity (Q10) of soil respiration in China. Science in China. Hui, D., and R.B. Jackson. 2009. Assessing interactive responses in litter decomposition in mixed species litter. Plant and Soil 314, 263-271 (PDF, evaluated by Faculty of 1000 Biology). Shen, W., G.D. Jenerette, D. Hui, R.P. Phillips, and H. Ren. 2008. Effects of changing precipitation regimes on dryland soil respiration and C pool dynamics at rainfall event, seasonal and interannual scales. Journal of Geophysical Research - Biogeosciences,113, G03024, doi:10.1029/2008JG000685 (PDF). Hui, D., O. Biggs, R.J. Scholes, R. B. Jackson. 2008. Measuring the variation of biodiversity loss: the case study of biodiversity intactness variance. Biological Conservation 141, 1091-1094. doi:10.1016/j.biocon.2008.02.001 (PDF). Hui, D., Y. Luo, D. Schimel, J.S. Clark, A. Hastings, K. Ogle, M. Williams. 2008. Converting raw data into ecologically meaningful products. Eos, Transactions, American Geophysical Union 89:5 (meeting report, PDF, January 29, 2008). Luo Y. and D. Hui, 2008. Gradual global environmental change in the real world and step manipulative experiments in laboratory and field: the need of inverse analysis. In: Miao SL, Carstenn S, Nungesser M (eds). Real World Ecology: Large-scale and Long-term Case Studies and Methods. Springer, New York. Hui, D., R.B. Jackson. 2007. Uncertainty in allometric exponent estimation: a case study in scaling metabolic rate with body mass. Journal of Theoretical Biology doi:10.1016/j.jtbi.2007.07.003 (PDF). Moffat AM, Papale D, Reichstein M, Hollinger DY, Richardson AD, Barr AG, Beckstein C, Braswell BH, Churkina G, Desai AR, Falge E, Gove JH, Heimann M, Hui D, Jarvis AJ, Kattge J, Noormets A, Stauch VJ. 2007. Comprehensive comparison of gap-filling techniques for eddy covariance net carbon fluxes. Agricultural and Forest Meteorology doi:10.1016/j.agrformet.2007.08.011 (PDF). Hui, D., 2007. The 'hundred surnames' of China run into thousands. Nature 448, 533 (Correspondance) (PDF). Luo, Y., D. Hui, D. Zhang. 2006. Carbon dioxide stimulates net ecosystem carbon and nitrogen accumulations. Ecology 87, 53-63 (PDF). Xu, T., L. White, D. Hui, Y. Luo. 2006. Stochastic modeling of a terrestrial ecosystem model: Analysis of uncertainty in parameter estimation and prediction. Global Biogeochemical Cycles 20, GB2007, doi:10.1029/2005GB002468 (PDF). Hui, D., R.B. Jackson. 2005. Geographic and interannual variability in biomass partitioning in grassland ecosystems: a synthesis of field data. New Phytologist 169, 85-93 (PDF). Wan, S., D. Hui, L. Wallace, and Y. Luo. 2005. Direct and indirect warming effects on ecosystem carbon processes in a tallgrass prairie. Global Biogeochemical Cycles 19, GB2014,doi:10.1029/2004GB002315 (PDF). Hui, D. and Y. Luo. 2004. Evaluation of soil CO2 production and transport in Duke Forest using a process-based modeling approach. Global Biogeochemical Cycles, 18, GB4029, doi:10.1029/2004GB002297 (PDF). Hanson, PJ, J.S. Amthor, S Wullschleger, K. Wilson, R. Grant, A. Hartley, D. Hui, R. Hunt Jr., D.W. Johnson, J. Kimball, A. King, Y. Luo, S. McNulty, G. Sun, P.E. Thornton, S. Wang, M. Williams, R.M. Cushmann. 2004. Carbon and Water Cycle Simulations for an Upland Oak Forest Using 13 Stand-level Models: Intermodel comparisons and evaluations against independent measurements. Ecological Monographs 74(3): 443-489 (PDF). Gu, S. D. Hui, A. Bian,1998, The contraction-expansion algorithm and its use in fitting nonlinear equations, Journal of Biomathmatics 13(4): 426-434. Gu, S., D. Hui, H. Mo, 1998, The Optimal Fitting of the Nonlinear Equation with Contraction-Expansion Algorithm, Acta Agronomica Sinica, 24(5): 513-519. Gu, S., D. Hui, Q. Zhu, 1996, Genetic Analysis of Grain Plumpness of Hybrids between indica and japonica Rice, Chinese J. Rice Science, 10(3): 129-137. Jiang, C., D. Hui, 1995, Joint Mapping of Genes for Correlated Quantitative Traits, J. of Jiangsu Agricultural College, 16(1):1-7. Jiang, C., C. Xu, D. Hui, Y. Shao, 1995, Analysis of Effects of Major Genes on Quantitative Traits between Families, Acta Agronomica Sinica, 21(5):632-636. Zhu, Q., Z. Wang, Z. Zhang, D. Hui, 1995, Study on indicators of grain-filling of rice. J. of Jiangsu Agricultural College, 16(2): 1-4. Zhang, Z., Q. Zhu, X. Cao, Z. Wang, D. Hui, 1995, Grain filling and combining abilities of Japonica/Indica hybrids. J. of Jiangsu Agricultural College 16(2): 5-9. Hui, D., C. Xu, J. Kuai, etc., 1995, Biostatistics Test Paper Produce and Score Analysis System on Microcomputer, 1995, College Education Research, (1):11-14. Kuai, J., H. Mo, D. Hui, 1994, The Relationship between Flowering Time of Rice and Weather Factors, Chinese J. Rice Science, 8(2):79-84. Hui, D., 1992, Computer Agricultural Experimental Data Analysis System, J. of Jiangsu Agricultural College, 13(2):37-40. 0. Hui, D., C. Jiang, 1996, Practical SAS Usage, Beijing University of Aeronautics & Astronautics Press, Beijing, China (cited). Hui, D., W. Shen. Equifinality and uncertainty in modeling soil respiration. In AGU meeting held in San Francisco, CA, 14-18, December 2009. Abstracts of Eos, Transactions, American Geophysical Union, Vol. 90, 2009. Hui, D., D. Zhang, Y. Luo, R.B. Jackson, R. Norby. Litter decomposition in terrestrial ecosystems: from estimation methods to environmental controls. In AGU meeting held in San Francisco, CA, 11-14 Dec. 2008. Abstracts of Eos, Transactions, American Geographical Union Vol. 89, 2008. Hui, D., PS Verburg, JA Arnone III, Y. Luo. Dynamics and Partitioning of Whole Ecosystem Respiration in a Controlled Grassland Ecosystem. In annual ESA meeting held in Milwaukee, WI, 3-8 August 2008. Abstracts of the Ecological Society of America. Hui, D. Inverse modeling of parameters in a process-based model Biome-BGC at Duke Pine Forest. In AGU meeting held in San Francisco, CA, 11-14 December 2007.Abstracts of Eos, Transactions, American Geophysical Union, Vol. 88, 2007. Hui, D., P. Fay, A. Procter, H.B. Johnson, H.W. Polley, and R.B. Jackson. Response of Soil Respiration to a CO2 Gradient from Subambient to Elevated Concentrations in Grassland Ecosystems. In AGU meeting held in San Francisco, CA, 11-15 December 2006 (oral presentation). Hui, D. Responses of grassland and forest ecosystems to global change: Integrated experimental and modeling approaches. Invited Seminar. University of Texas, Austin. 2006. Hui, D. Responses of grassland and forest ecosystems to global change: Integrating experimental data into models. Invited Seminar. Virginia Tech University, Blacksburg, 2006. Hui, D. Terrestrial ecosystems carbon cycling and global change. Invited Seminar. Texas Tech University, 2006. Hui, D., Y. Luo, R.B. Jackson. Uncertainty in power law analysis: influence of sample size, measurement error, and analysis method. In AGU meeting held in San Francisco, CA, 5-9 December 2005. Abstracts of Eos, Transactions, American Geophysical Union, Vol. 86, No. 48, 2005. Hui, D., R.B. Jackson. Spatial and temporal variability in biomass allocation in grassland ecosystems: a synthesis of field data. In annual ESA meeting held in Montreal, Canada, Oregon, 6-12 August 2005. Abstracts of the Ecological Society of America (oral presentation). Hui, D., Yiqi Luo, Shiqiang Wan, Tao Xu, Scott R. Saleska, Xuhui Zhou, Rebecca A. Sherry, Bo Su, and Linda L. Wallace. Evidence of decreased soil moisture sensitivity of soil respiration under warming in a tallgrass prairie. In AGU meeting held in San Francisco, CA, 12-17 December 2004. Abstracts of Eos, Transactions, American Geophysical Union, Vol. 85, No. 47, 2004 (oral presentation). Hui, D., Y. Luo, et al. Controls of seasonal and interannual variability in net ecosystem carbon exchange. In annual ESA meeting held in Portland, Oregon, 1-6 August 2004. Abstracts of the Ecological Society of America (oral presentation). Hui, D. Statistical and modeling studies of ecosystem carbon processes in terrestrial ecosystems. Invited Seminar. Rutgers University, Newark. 2004. Hui, D., Y. Luo, T. Xu, S. Wofsy, D. Baldocchi, HP Schmid, G Katul, R Monson, A. Goldstein, P Curtis, D Hollinger. Contribution of Climatic variables to Seasonal and Interannual Variability in Net Ecosystem Exchange at Eight AmeriFlux Forest Sites. In AGU meeting held in San Francisco, CA, 5-12 December 2003. Abstracts of Eos, Transactions, American Geophysical Union, Vol. 84, No. 46, 2003. Hui, D., T. Xu, Y. Luo, S. Wofsy. Quantitative assessment of climate effects on seasonal and interannual variabilities in net ecosystem exchange. In annual ESA meeting held in Savannah, Georgia, 3-8 August 2003. Abstracts of the Ecological Society of America, 160. Hui, D., Y. Luo, G. Katul. Partitioning Interannual Variability in Net Ecosystem Exchange into Climatic Variability and Functional Change. In Chequamegon Ecosystem-Atmosphere Study (ChEAS) 2003 Meeting held in Woodruff, WI, June 29-July 2 2003 (oral presentation). Hui, D., S. Wan, B. Su, L. Wallace, Y. Luo. Does warming influence temperature sensitivity of soil respiration? Comparison of computation methods and experimental durations. In GCTE Workshop: Terrestrial Ecosystem Responses to Atmospheric and Climatic Change (TERACC) held in Lake Tahoe, CA, 27-30 April 2003. Hui, D., Y. Luo, G. Katul. Partitioning Interannual Variability in Net Ecosystem Exchange into Two Causes -- Climatic Variability and Functional Change: Method Development with Dataset from Duke Forest .In AGU meeting held in San Francisco, CA, 15-19 December 2002. Abstracts of Eos, Transactions, American Geophysical Union, Vol. 83, No. 47, 2002. Luo, Y., D. Hui. Modeling/statistical Approaches to Interpret and Predict NEE in Forest Ecosystems. In NIGEC SouthCentral Regional Center Principal Investigator Workshop 2003 held in New Orleans, LA, 3-4 April 2003 (invited oral presentation, presented by D Hui). Hui, D., Y. Luo, Evaluation of CO2 production and transport in the soil: Case study in Duke Forest. In annual ESA meeting held in Tucson, Arizona, 6-11 August 2002. Abstracts of the Ecological Society of America (oral presentation). Hui, D., Y. Luo, G. Katul, D. Ellsworth, R. Monson, K. Wilson, S. Wofsy. Comparative study of canopy quantum yields among four AmeriFlux sites with different species and environmental conditions. In annual ESA meeting held in Madison, Wisconsin, 5-10 August 2001. Abstracts of the Ecological Society of America. Hui, D., Y. Luo, G. Katul. A search for a simple predictive model of gross primary productivity from eddy-covariance data. In annual ESA meeting held in Snowbird, Utah, 6-10 August 2000. Abstracts of the Ecological Society of America. Hui, D., Y. Luo, G. Katul. A search for a simple predictive model of gross primary productivity from eddy-covariance data. In AGU meeting held in San Francisco, CA, 15-19 December 2000. Abstracts of Eos, Transactions, American Geophysical Union, Vol. 81, No. 48, Nov 28, 2000. Hui, D., D.A. Sims, D.W. Johnson, W. Cheng, J.S. Coleman and Y. Luo. Canopy water and light use efficiency at elevated CO2: A mesocosm study. In annual ESA meeting held in Spokane, WA, 8-12 August 1999. Abstracts of the Ecological Society of America. Hui, D., Y. Luo, W. Cheng, J.S. Coleman, D.W. Johnson, and D.A. Sims. Quantum yield, canopy development, and carbon fluxes in a mesocosm study. In annual ESA meeting held in Baltimore, Maryland 2-6 August 1998. Abstracts of the Ecological Society of America. Hui, D., Y. Luo, J.T. Ball, W. Cheng, J.S. Coleman, D.W. Johnson, D. Schorran, D.A. Sims, and L. Sotoodeh. ECOCELL study III: Interactive effects of canopy development and elevated CO2 on ecosystem carbon fluxes. In 3rd International IGBP-GCTE Workshop: Critical Assessment of the Response of Forest Ecosystems to Elevated Atmospheric Carbon Dioxide, Duke University, North Carolina, 10-13 October 1997.
Review manuscripts for Agronomy Journal, Annals of Botany, Biogeochemistry, Biogeosciences, Biology Letters, Chinese Science Bulletin, Controlled Clinical Trials, Ecohydrology, Ecology, Ecological Applications, Ecological Modelling, Ecology Letters, Ecosystems, Environmental and Experimental Botany, Environmental Pollution, Environmental Science and Technology, Forest Ecology and Management, Functional Ecology, Geoderma, Geographical Research Letters, Global Change Biology, International Journal of GIS, Journal of Biogeography, Journal of Environmental Quality, Journal of Environmental Sciences, Journal of Geophysical Research, Journal of Vegetation Science, New Phytologist, Pedosphere, Plant Ecology, PLoS One, Soil Biology and Biochemistry, Tree Physiology, Water Resources Research etc. and EPA and USDA. Review proposals for Department of Energy (DOE), National Science Foundation (NSF), Georgian National Science Foundation, and US-Israel Bi-national Science Foundation, NSF of China. Editorial Review Board: Tree Physiology (2004). Editorial Board: ISRN: Soil Science (2011- ); Pure and Applied Biology (2012-); PLoS One Academic Editor(2013-). Proposal review panel: NSF (2010, 2011, 2012). 3. 2008. DOE Higher Education Research Experiences at the Oak Ridge National Laboratory for Distinguished Scientists and Faculty. Member of Ecological Society of America (1999-present), American Geophysical Union (2000-present), Sigma Xi (2003-2009), and ASA (2012).